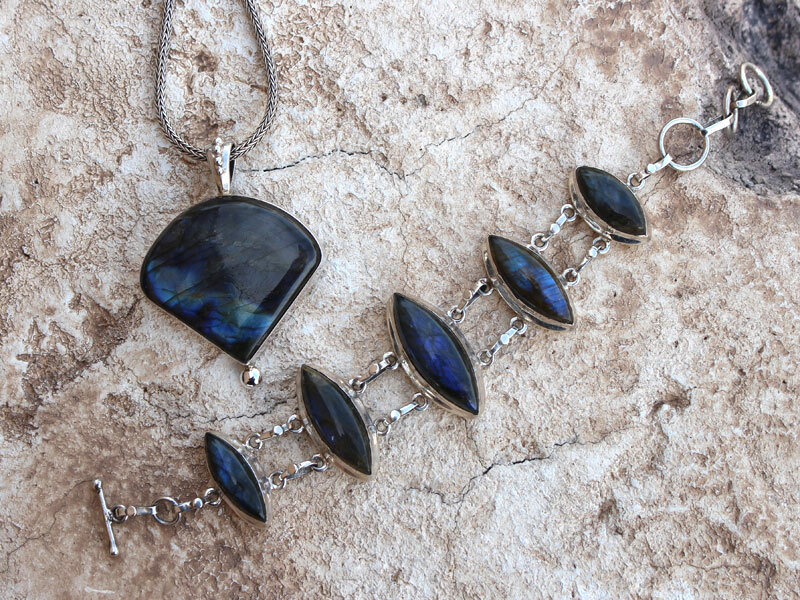 Labradorite is a stone fighting for it’s own identity. For as popular and well loved as it is, there is not a great deal of information published regarding it’s properties, specifically physical healing properties. Some additional ‘deeper research’ was required. It seems as though this “identity crisis” arises from the fact that Labradorite is more than one mineral…well sort of…sometimes….and it’s Grandmother is often referred to as Black Labradorite or Black Moonstone, and Labradorite itself is also called Black Moonstone…But both Moonstone and Labradorite have layers of Albite on them to make them who they are, but Albite too is a Feldspar all on it’s own….and during this research a new stone was found…Parent to the Feldspar….and deeper yet, Feldspar’s Mother as well….the Great Grandmother of the Dark Beauty that is Labradorite…here is a portion of the ‘family structure’… Labradorite is a type of translucent feldspar which displays strong iridescence when viewed from different angles, Finnish Spectrolite exhibits vivid colors of bright aqua, golden yellow, peacock blue, reddish orange, greens, and browns.